Another good episode, but …. no, first I’m going to say that there is a lot of good about “F.Z.Z.T.” It has a great deal of what people wanted from Agents of SHIELD. The problem with this episode is that it happened at the wrong time. Six episodes in is firmly in the middle of the season. We’ve seen enough of the characters to have a vague idea about who they are and how they react, and truthfully, in the first five episodes, there wasn’t much more. We’re to far in the season to be shocked at the possibility of a major character dieing, and we knew too little about the characters to have a deep, emotional bond with them (in fact, this is the first real development for Simmons because everything else we had learned was more about Fitz.) In other words, I had no doubt in my mind that Simmons would be rescued after her jump. That shock value was depending far too much on Whedon’s reputation for killing off character and hadn’t provided anything substantial to make me think they would really kill Simmons off. They either needed this as the second or third episode, or waited til there was more character development. The rest in list format, because I put this off too long! Obviously, this should’ve gone out at say… the beginning of the month. You know, instead of the middle. But, as I’ve already mentioned, the end of October and beginning of November. By the time I remembered I had this post to make, it was the 2nd. I figured in for a penny, in for a pound and decided to make you wait til all was done. Because working a book sale for days is exhausting. I barely had the energy to go through my dashboard on tumblr! 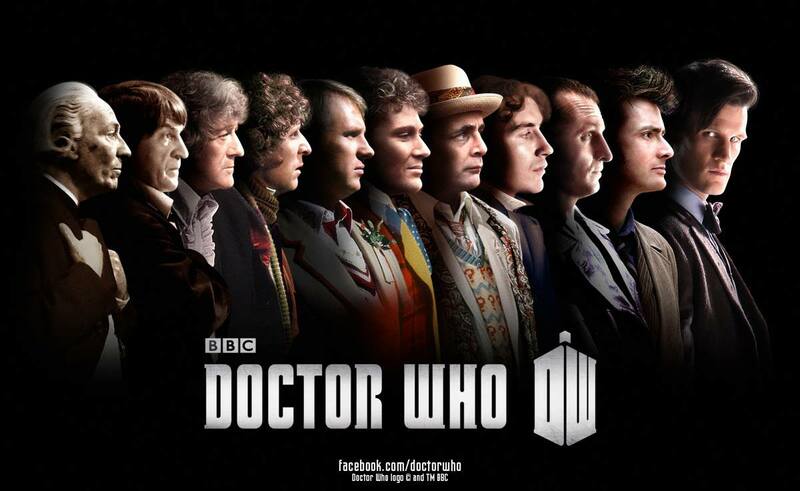 To Classic Who or Not to Classic Who? About a week and a half ago, I posted this on tumblr. A while I had not (and still haven’t for the same reason this post was made) watched the memorial episode of Glee for Finn Hudson/Cory Monteith, I was silly enough to watch “Bad Wolf” and “The Parting of Ways” which dedicated Whovians know are the last two episodes of Doctor Who’s Series One -and the last episodes of the Ninth Doctor. And of course I was crying over the “death” of a fictional character in an episode (and scene) I’ve watched many times. Because as I tagged in the post, I cry every time; just as I cry over the Tenth Doctor’s regeneration in The End of Time and probably will when Eleven regenerates in this year’s Christmas special. But then I struck a new thought; these feelings may be a reason that I haven’t really gotten into the classic Doctor Who. My beginning with Doctor Who is … complicated. By which I mean, in all the confusion of when SciFi (because if you haven’t guessed, I’m American) was airing/premiering the new series and school being my life, I can’t exactly remember what the first episode I saw was. I remember the talk about Nine’s rather different look and parts of different episodes from series one and two, but all I know for sure is that I did not see “Rose” until I sat down with my Amazon Prime benefits and started making my way through the first four series. I think the first episode I watched was most of “The Girl in the Fireplace.” (On a side note, I picked the worst episodes to catch the end of aka “The Doctor Dances” and “Last of the Time Lords.” I hadn’t seen any of series one at that point though I marathoned through “Bad Wolf” after and the only other episode of series three that I’d seen was “Smith and Jones.” I unintentionally spoiled myself.) A classmate tried to fix some of this and I saw the first few episodes of series two (“The Christmas Invasion” through “The Girl in the Fireplace” minus “Tooth and Claw” because she didn’t like it.) But because the only legal source at the time was expensive DVD sets and the hope that SciFi would have a marathon, it didn’t really take. Until just after series six ended and I utilized the wonder that is streaming video websites. I think this episode shows what many of us wanted from Agents of SHIELD. This was the first time the show felt settled and comfortable with what it was. Once again, not amazing, but a solid episode. Hopefully we’ll see more of these with a few standouts that we’ll be quoting for years. This review is going to be completely in list format since a)it’s seriously late and b)my week became rather crazy. I’ll try to cover as much as possible.